Revelation is a book about the future. Many of us have fearful questions about the future. Will I have enough money for retirement? Will my children/grandchildren be healthy and happy? How can we have peace when we have these questions? I, John, your brother and partner in the tribulation and the kingdom and the patient endurance that are in Jesus, was on the island called Patmos on account of the word of God and the testimony of Jesus (v. 9). John and the churches of Asia were experiencing “tribulation” (“partner”). Jesus said to His disciples (including John), “In this world you will have tribulation” (John 16:33). Jesus didn’t promise us a trouble-free life. Citizens of Christ’s kingdom will face tribulation and will need endurance. We must endure the temporary troubles of life. One day, we will enjoy the eternal pleasures of God. Then I turned to see the voice that was speaking to me, and on turning I saw seven golden lampstands, and in the midst of the lampstands one like a son of man (vv. 12-13a). The seven lampstands are the seven churches (v. 20b). Why is a golden lampstand a good symbol for a church? Because a church is supposed to provide “light” (truth), and a church is valuable to Christ like gold is valuable to us. John says he “turned” to see who was talking to Him. When we realize the significance of what he saw (Jesus standing in the midst of the seven lampstands), it can be a “turning point” in our lives. Jesus is with us, so (1) be courageous and (2) be committed. This is a vision for the church (it continues in chapters 2-3 as Jesus addresses each of the seven churches). In Christ’s letters to the churches, He praises them for their commitment and rebukes them for their lack of commitment. In vv. 13b-16, John describes the One who is in our midst. This is a symbolic, not literal, description of Jesus. In this vision He looks very different from the humble man from Nazareth. He is presented in a way that shows He is equal with God the Father (cf. Daniel 7:9). When I saw him, I fell at his feet as though dead. But he laid his right hand on me, saying, “Fear not, I am the first and the last, and the living one. I died, and behold I am alive forevermore, and I have the keys of Death and Hades (vv. 17-18). The right hand of Jesus signifies (1) His blessing: "I love you"; and (2) His commission: "I have a job for you to do." John’s job was to “write” (vv. 11, 19). Many commentators believe that v. 19 contains an outline of the book of Revelation: (1) “the things that you have seen (ch. 1), (2) “those that are” (chs. 2-3), and (3) “those that are to take place after this” (chs. 4-22). Others see v. 19 as simply saying that the things John’s sees concern both the present and the future. Jesus is with us. So be courageous. The One who triumphed over death is on your side. And be committed. He has a job for you to do. John to the seven churches that are in Asia (v. 4a). AUTHOR: John the apostle (vv. 1, 4). He refers to himself as simply “John” probably because he was well known to his readers. John wrote Revelation while exiled on Patmos. Patmos is a small island in the Aegean Sea, about 64 km from the coast of Asia Minor. RECIPIENTS: The seven churches of Asia (v. 4). Asia was a Roman province in western Asia Minor (present-day Turkey). The churches are addressed (see chapters 2-3) in the order in which a courier would deliver this letter. Why only seven churches? Seven is the number of completeness. Perhaps through these seven churches Christ intended to address every church. PURPOSE: To provide a message of HOPE to struggling Christians. Grace to you and peace from him who is and who was and who is to come, and from the seven spirits who are before his throne, and from Jesus Christ the faithful witness, the firstborn of the dead, and the ruler of the kings of the earth (vv. 4b-5a). The common Greek greeting (“grace”) and the common Hebrew greeting (“peace”) are combined (as is often seen in the opening of Paul’s letters). Because of God’s grace, we can enjoy peace. John lists three sources of grace and peace. First, grace and peace come “him who is and who was and who is to come.” Who is this? The Father (cf. Exodus 3:14-15). Second, grace and peace come from “the seven spirits who are before [God’s] throne.” Who are the “seven spirits”? It’s possible that they are seven angels. Perhaps the best interpretation is that the seven spirits refer to the Holy Spirit (“the sevenfold Spirit”; cf. Zechariah 4:1-10; Revelation 3:1; 4:5; 5:6). Jesus deserves our praise. To him who loves us and has freed us from our sins by his blood and made us a kingdom, priests to his God and Father, to him be glory and dominion forever and ever. Amen (vv. 5b-6). This is the first doxology in the NT addressed only to Christ. Why does Jesus deserve our praise? First, He deserves our praise because He loves us. In Revelation, Jesus is presented as the slain Lamb (5:6, 12; 13:8). He proved His love for us by dying for us. Second, He deserves our praise because He saved us. “You were slain, and by your blood you ransomed people for God from every tribe and language and people and nation” (5:9). Third, He deserves our praise because He made us kings and priests. God said to Israel, “You shall be to me a kingdom of priests” (Exodus 19:6). Peter wrote to Christians, “You are … a royal priesthood” (1 Peter 2:9). The church is the new Exodus community. Salvation is not just what God saves us from, but also what He saves us for. Jesus is coming again. Behold, he is coming with the clouds, and every eye will see him, even those who pierced him, and all tribes of the earth will wail on account of him. Even so. Amen (v. 7). John combines Daniel 7:13 (“behold, with the clouds of heaven there came one like a son of man”) and Zechariah 12:10 (“when they look on me, on him whom they have pierced, they shall mourn for him, as one mourns for an only child, and weep bitterly over him, as one weeps over a firstborn”). Jesus did the same: “Then will appear in heaven the sign of the Son of Man, and then all the tribes of the earth will mourn, and they will see the Son of Man coming on the clouds of heaven with power and great glory” (Matthew 24:30). First, when Christ returns, all those who rejected Him will see Him. “Those who pierced him” refers to all who reject Christ (not merely those who actually pierced Him while He was on the cross). Second, when Christ returns, those who rejected Him will mourn because of Him. Will the “wailing” be over sin (repentance) or over judgment (cf. 6:16)? Perhaps both (cf. John 19:37; Mark 15:39). Only twice does God speak directly speak in Revelation (here and 21:5-6). History is in God’s hands. This passage provides encouragement and hope to those who are feeling perplexed, feeling powerless, and being persecuted. Revelation is an unveiling. 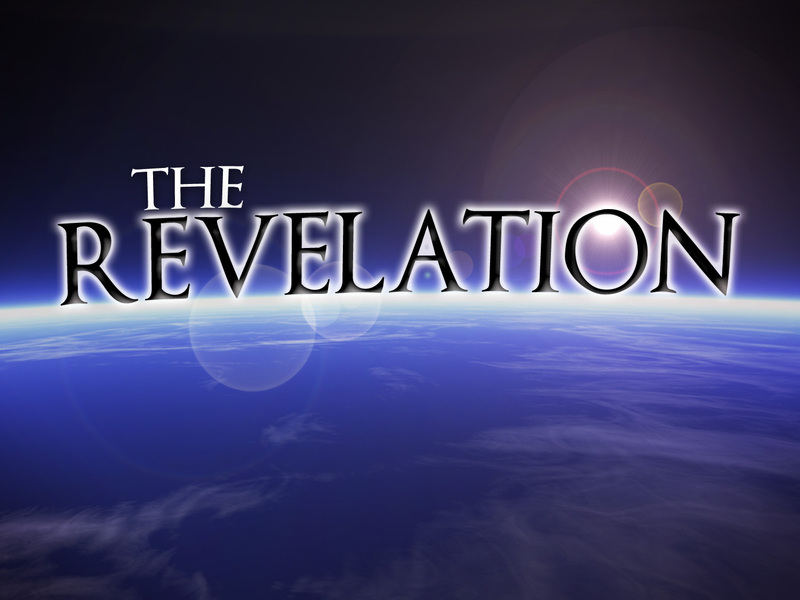 The revelation [apokalypsis] (v. 1a). The word “apocalypse” comes from the Greek work apokalypsis (used 18 times in the NT but only here in Revelation). Sometimes Revelation is called “the Apocalypse.” Apocalyptic literature is filled with symbols. Many of Revelation’s symbols come from the OT books of Ezekiel, Daniel, and Zechariah. Because of these symbols in Revelation, some might think that the book is a concealing of truth. But, as the title suggest, the book is actually a revealing (unveiling, disclosure) of truth. Revelation is about Jesus Christ. Of [about] Jesus Christ (v. 1b). There are many characters in Revelation, but Jesus is the main character. The Gospels reveal Christ in His humiliation; Revelation reveals Christ in His exaltation. Revelation is from Jesus Christ. Of [from] Jesus Christ, which God gave him (v. 1b-c). Jesus is the One revealed and the Revealer. Revelation was written to the seven churches of Asia. To show his servants (v. 1d). These "servants" are identified in verse 4 as "the seven churches in the province of Asia" (see also chapters 2-3). These churches were located in modern-day Turkey. The word "show" is similar to "revelation" (v. 1) and means "to reveal or unveil." Revelation was written to reveal future events. The things that must soon take place (v. 1e). The word "must" indicates that these things that will take place are secured by God's sovereign purpose and power. But how should we interpret the word "soon"? (see also 22:7, 12, 20.) Some say it means "swiftly" or "suddenly." In other words, when Christ does return, it will happen very quickly. Others believe that "soon" means "without delay." But how can this be correct since about 1900 years have gone by since Revelation was written? The New Testament says that we are living in the "last days" (see Acts 2:17; Hebrews 1:1; 1 Peter 1:20). The "last days" began after the death, resurrection, and ascension of Christ. Now we are waiting for Him to come back. There is really nothing delaying His return (other than the patience of God, see 2 Peter 3:3-9). He could come at any moment, so that is how the Bible can say He is coming "soon." When will it happen? "But concerning that day or that hour, no one knows, not even the angels in heaven, nor the Son, but only the Father" (Mark 13:32). "So when they had come together, they asked him, 'Lord, will you at this time restore the kingdom to Israel?' He said to them, 'It is not for you to know times or seasons that the Father has fixed by his own authority'" (Acts 1:6-7). So Jesus said, "You don’t know, and you’re not supposed to know." "The day of the Lord will come like a thief in the night" (2 Peter 3:10). The coming of Christ will be unpredictable. 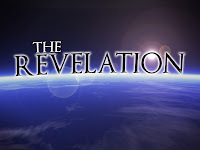 There are five schools of interpretation concerning "the things must soon take place": (1) historism - the prophecies of Revelation are being fulfilled throughout history; preterism - most of the prophecies of Revelation were fulfilled in the early days of the Christian church; (3) futurism - chapters 4-22 refer primarily to events that will take place at the end of time; (4) idealism - the symbols of Revelation do not relate to historical events but rather to timeless spiritual truths; (5) mixed - a combination of more than one of the above views. Revelation was written by John. He made it known by sending his angel to his servant John, who bore witness to the word of God and to the testimony of Jesus Christ, even to all that he saw (vv. 1f-2). Who is "John"? (See also 1:4, 9; 22:8.) He is the apostle John. He would have been well known to the churches of Asia because he ministered in Ephesus. There was a four-state process by which Revelation came to the church: (1) God gave it to Jesus; (2) Jesus gave it to "his angel"; (3) the angel gave it to John; and (4) John wrote it down for the churches (and for us). When was Revelation written? Possibly A.D. 95 or 96. Where was it written? From the island of Patmos (see 1:9). Revelation promises a blessing to all who hear and obey its words. Blessed is the one who reads aloud the words of this prophecy, and blessed are those who hear, and who keep what is written in it, for the time is near (v. 3). This is the first of seven beatitudes in Revelation (1:13; 16:15; 19:9; 20:6; 22:7, 14). One of the distinctive features of Revelation is its frequent use of the number seven (52 times). There is a threefold blessing to the reader (the one who read the book aloud during a church gathering), the hearer, and the "heeder." Revelation is not just about eschatology; it’s also about ethics. TITLE: "The Revelation of Saint John the Divine." Other titles include "The Revelation of John the Apostle" and "The Revelation of Jesus Christ." AUTHOR: John, an apostle of Jesus Christ. Liberal views: The author is another man named John or an unknown man writing in the apostle John's name. Arguments include the lack of apostolic claims, supposed theological differences between the Gospel of John and Revelation (this argument relies on the belief that the apostle John wrote the fourth Gospel), and stylistic differences between the two books (strongest argument). Evidence: (1) Church tradition ascribes the book to the apostle John (with the exception of Dionysius and a few others). (2) The books claims to be written by "John" (1:1, 4, 9; 22:8). (3) The fact that the author refers to himself as simply "John" suggests that he was well known to his readers. No John would have been better known to them than the apostle John since early church tradition places him in Ephesus at the end of his life (see "readership" below). This explains why John did not need to claim to be an apostle in Revelation. (4) The fourth Gospel and Revelation are actually quite similar in their theology despite their different settings and purposes. For example, the two books teach that God is both loving and judging and identify Jesus as the Lamb of God. The difference in Greek style between the two books, though difficult to explain, does not make it impossible for John the apostle to be the author of both. DATE: Early Christian writers date the book in the reign of one of four different Roman emperors: Claudius (A.D. 41-54), Nero (54-68), Domitian (81-96), and Trajan (98-117). The reigns of Nero and Domitian are the most likely time periods for the book's writing. A possible date for Revelation is between A.D. 94-96. Evidence: Several elements in the letters to the seven churches seem to be more compatible with a date in the nineties than one in the sixties: (1) the spiritual stagnation in several of the churches; (2) the wealth of the Laodicean church (the city was destroyed by an earthquake in 60-61); (3) the existence of the church at Smyrna (the church may not have existed until 60-64); (3) the lack of any mention of the apostle Paul, who may have labored in Ephesus as late as 64. PROVENANCE: The island of Patmos. John was exiled there by the Romans "for the word of God and for the testimony of Jesus Christ" (1:9). READERSHIP: Seven churches in the Roman province of Asia (1:4): Ephesus, Smyrna, Pergamos, Thyatira, Sardis, Philadelphia, and Laodicea (see chapters 2-3). These churches were probably personally known to John from years of ministry in the area. PURPOSE: To provide a message of hope to struggling Christians. God is in control of all events of human history, and though evil often seems pervasive and wicked men all-powerful, their ultimate defeat is certain. Christ will come in glory to judge and reign. GENRE: The opening verses appear to suggest three different genre identifications: apocalypse (1:1), prophecy (1:3), and epistle (1:4). It might be best to view the book as a prophecy cast in an apocalyptic mold and written down in the form of a letter. These questions are all about the story of the wise men (Matthew 2:1-18). Warning: Read the questions carefully. A few are quite tricky. The wise men arrived in Judea after Jesus had been born. The Bible says that there were three wise men. The wise men went directly to Bethlehem when they arrived in Judea. The wise men were kings. The Bible says that the wise men traveled on camels during their journey to Judea. The wise men gave three gifts to Jesus on the night of His birth. After finding Jesus, the wise men realized that Herod wanted to kill Jesus and went home another way. The biblical text hints that Jesus might have been as old as two when the wise men found Him. When Herod asked the chief priests and scribes where the Christ was to be born, they quoted the prophet Isaiah. The wise men found Jesus in a house. TRUE. “After Jesus was born in Bethlehem” (v. 1). FALSE. It’s usually assumed that there were three wise men because they gave to Jesus three gifts. They have even been given names: Caspar, Balthazar, and Melchior. But the Bible doesn’t say how many wise men there were. FALSE. “Wise men from the east came to Jerusalem” (v. 1). FALSE. As early as the third century, the wise men were considered kings, fulfilling Psalm 72:11, “All kings will bow down to him.” However, the Bible never says the wise men were kings. FALSE. They might have traveled on camels, but the Bible doesn’t say. FALSE. The wise men did give three gifts to Jesus, but they did not give them to Him on the night of His birth (v. 1). FALSE. The wise men did not realize Herod’s evil intentions on their own. They were warned by God in a dream (v. 12). TRUE. “When [Herod] saw that he had been tricked by the wise men, became furious, and he sent and killed all the male children in Bethlehem and in all that region who were two years old or under” (v. 16). FALSE. They actually quoted Micah’s prophecy recorded in Micah 5:2 (v. 6). TRUE. It appears that Mary, Joseph, and Jesus were living in Bethlehem when the Wise Men found them. “And going into the house they saw the child with Mary his mother” (v. 11).